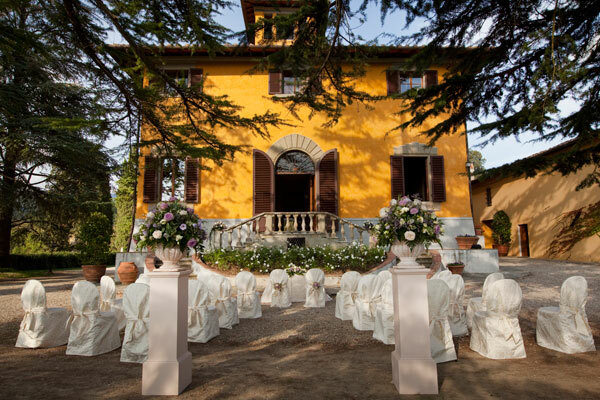 A sweet harmony of natural parkland, ancient trees and a multitude of colorful flowers define the beauty of this wedding venue. 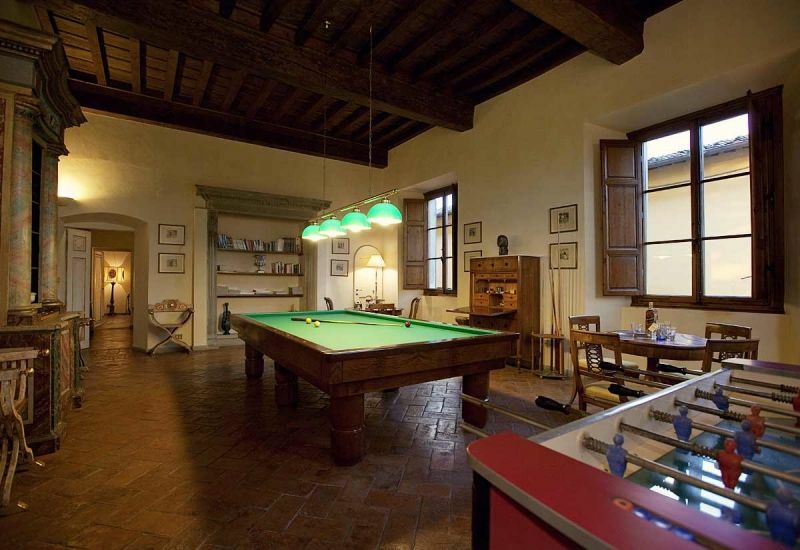 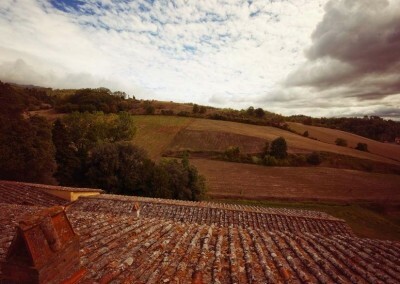 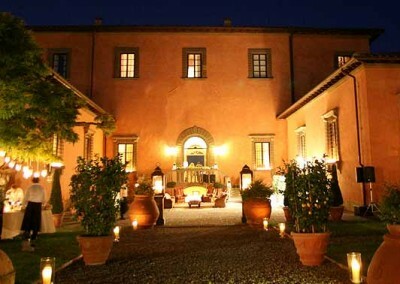 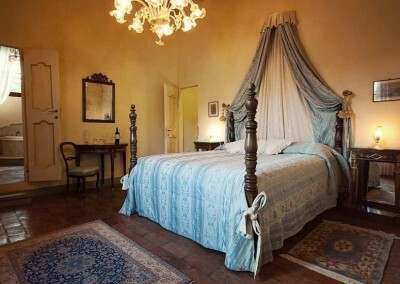 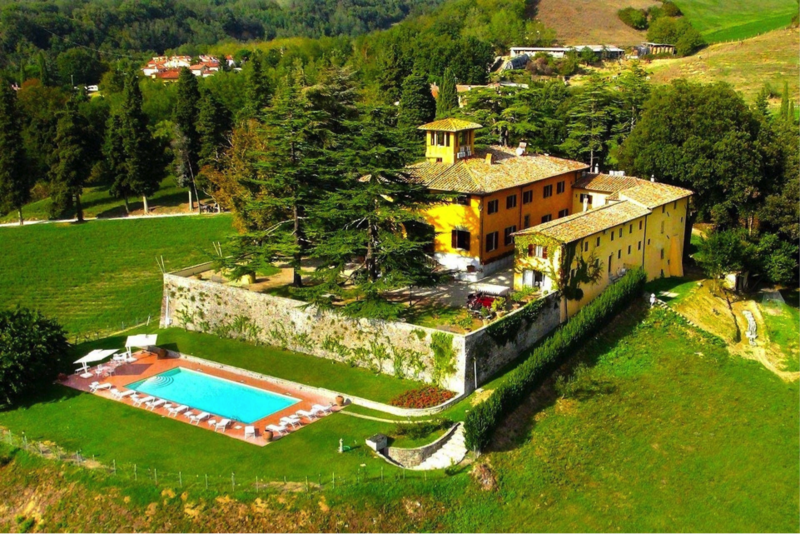 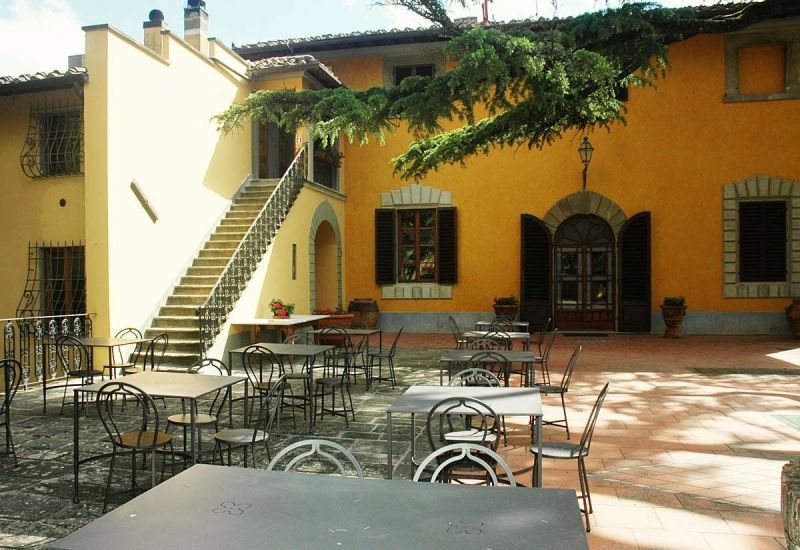 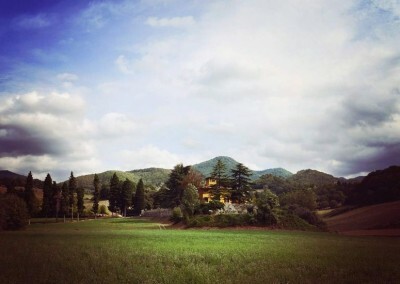 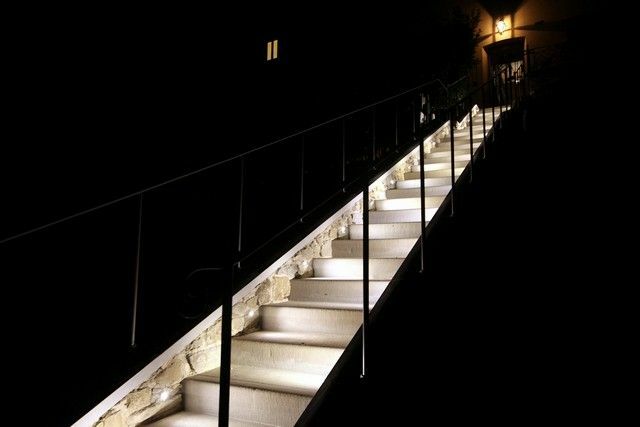 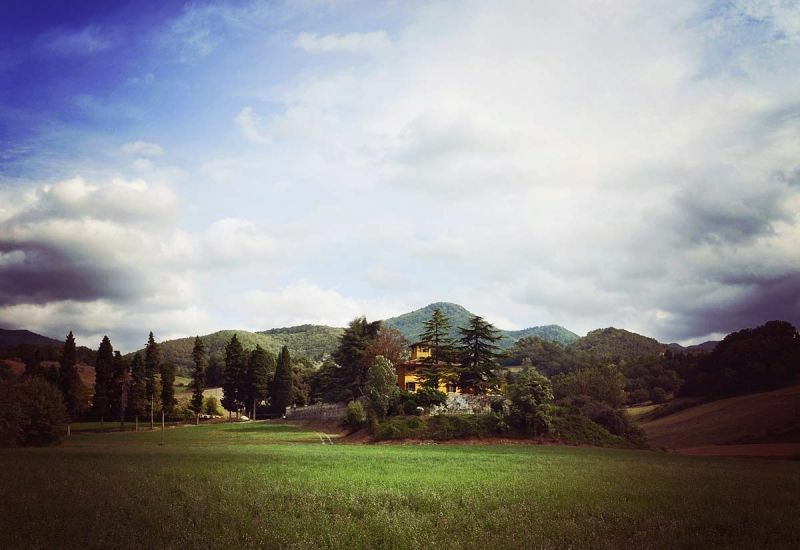 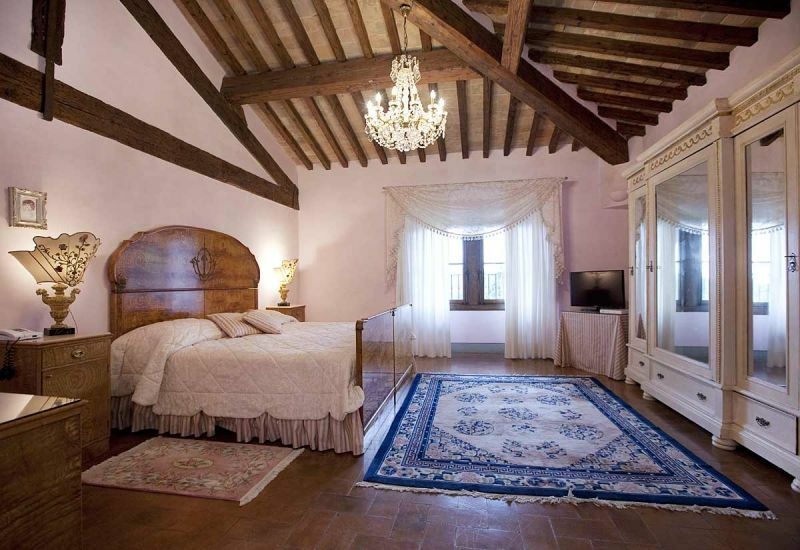 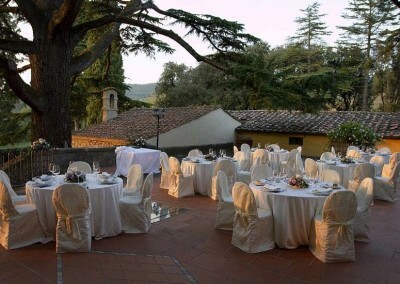 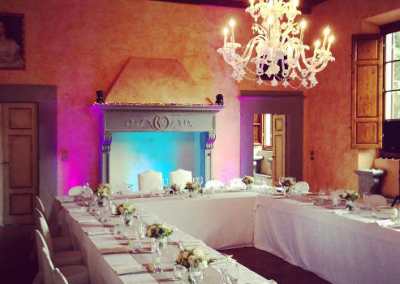 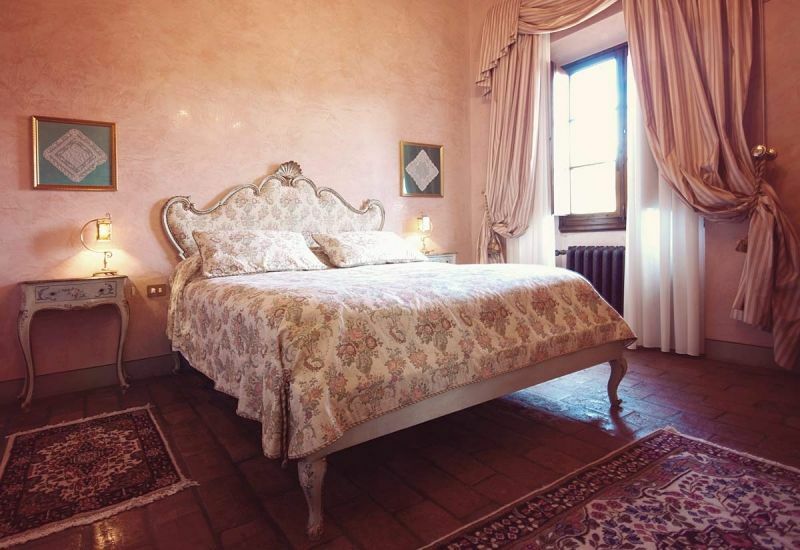 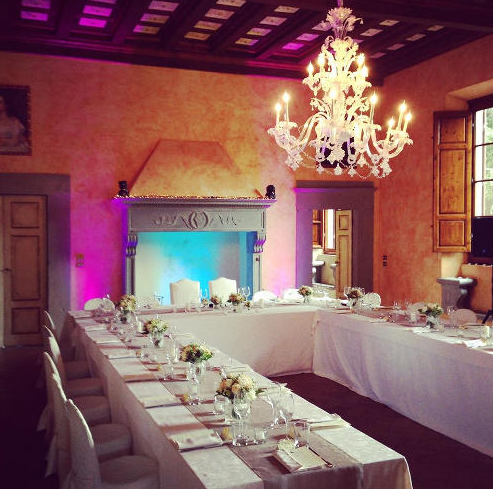 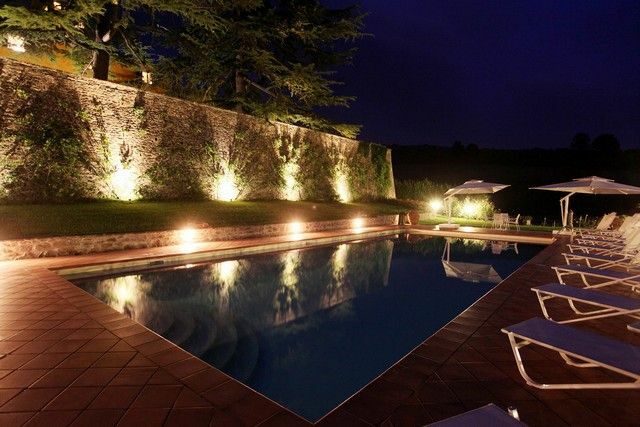 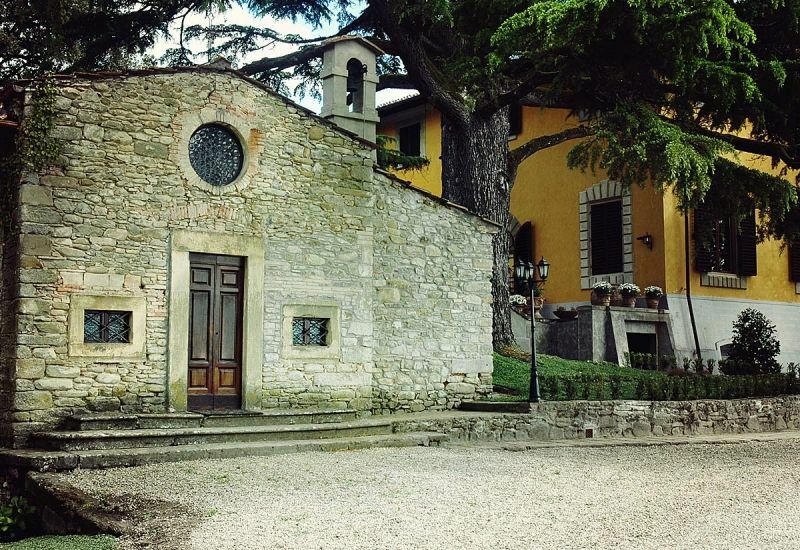 This charming country luxury wedding Villa is very close to Florence. 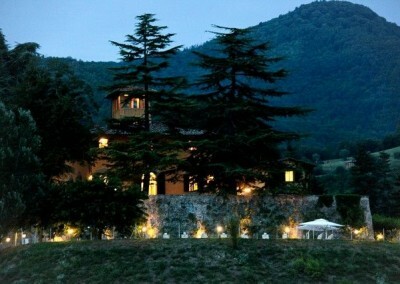 For centuries, the villa was the country residence of Florence’s most noble families in the Medici entourage. 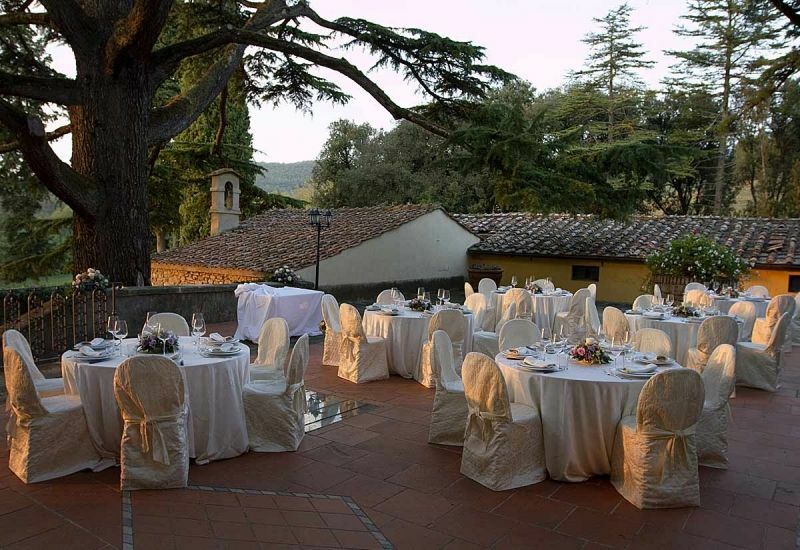 Today it has been transformed into a luxury resort and event location where ancient tradition sits alongside modern comforts. 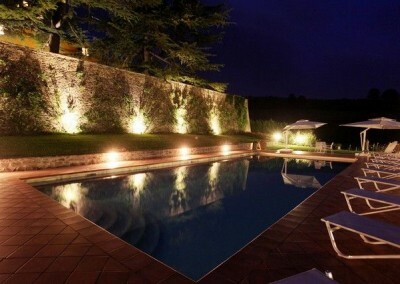 A unique ambience created by the elegance of the rooms, wonderfully furnished suites, perfectly situated pool, and parkland with 400 year old cedar trees. 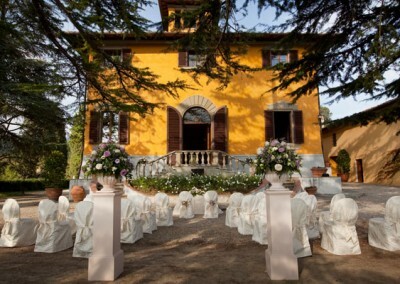 Before your wedding reception you and your new husband/wife can have the experience of stepping back in time, as a horse and carriage ‘trot’ you down leafy lanes and bring you to some breathtaking views of the surrounding countryside, for perfect wedding photography in Italy, while spectacular falconry shows can entertain your guests. 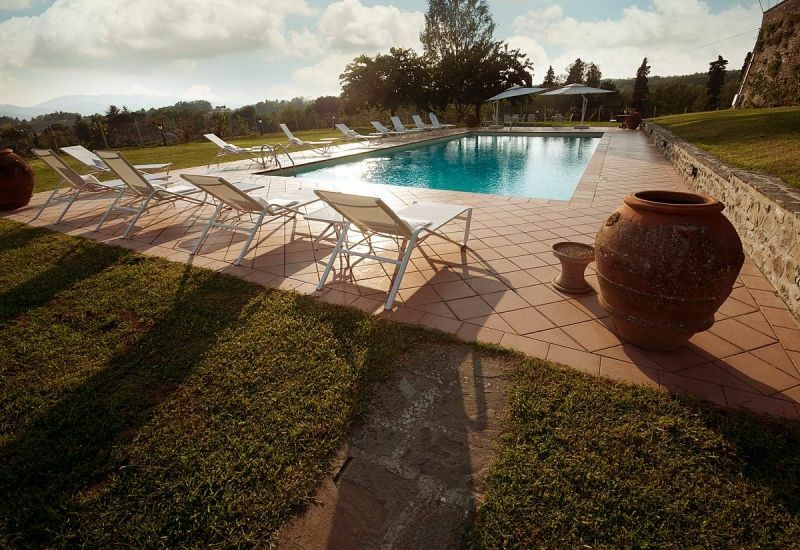 The resort also has a beautifully newly restored spa and wellness centre, equipped with steam room, Swedish sauna, jacuzzi, massage rooms and relax area. 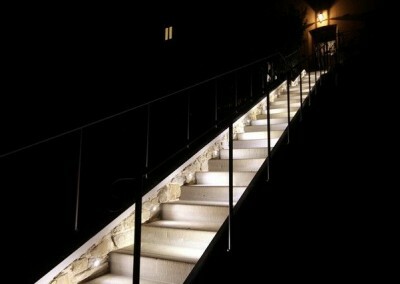 The staff at the centre are all qualified beauticians and masseurs who are able to offer guests the latest treatments. 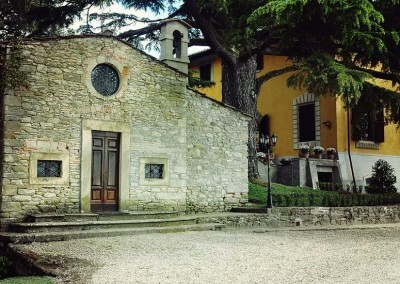 The outside areas for weddings include: a magnificent terrace flanked by an ancient cedar tree, breathtaking views of the valley, pool solarium area ideal for a cocktail party on starry summer nights or warm spring afternoons, and finally a beautifully restored old stone chapel available for photos. 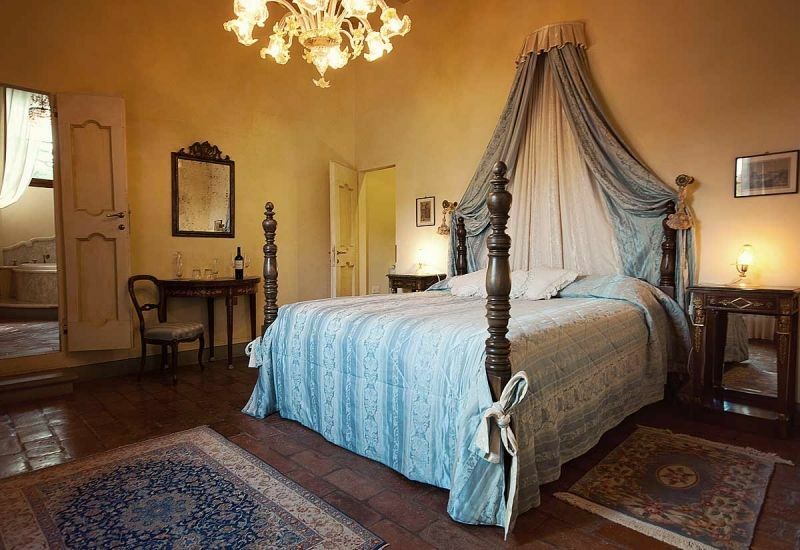 The rooms inside the Villa exude an atmosphere of refinement and antique charm: the finely furnished grand salon, the billiard room, and the French drawing room are all at your disposal to entertain your guests. 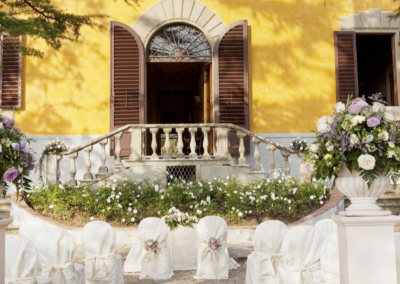 The fee for the exclusive use of the villa on the wedding day will be included in the cost of the hotel rooms. 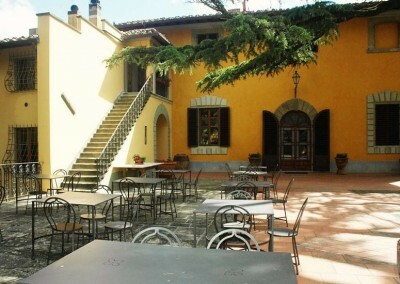 Additional guest accommodation close by.